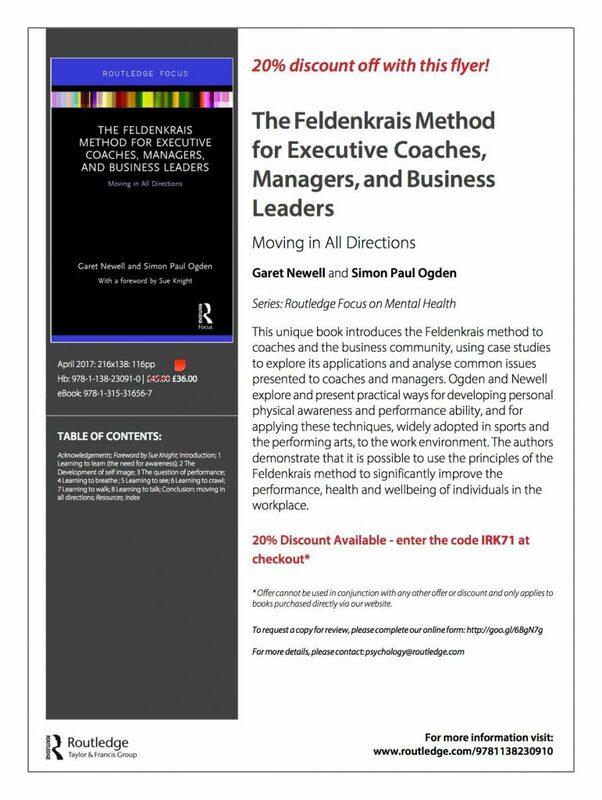 We are really pleased to announce the publication of Garet Newell and Simon Paul Ogden’s new book ‘The Feldenkrais Method for Executive Coaches, Managers, and Business Leaders’. Please check out the above publicity details below, produced by Routledge, as there is a 20% discount if you want to purchase the book. ‘It provides, an invaluable resource for professionals interested in both learning and development, and health and wellbeing in the workplace. It will also appeal to counsellors and therapists interested in somatic approaches’.